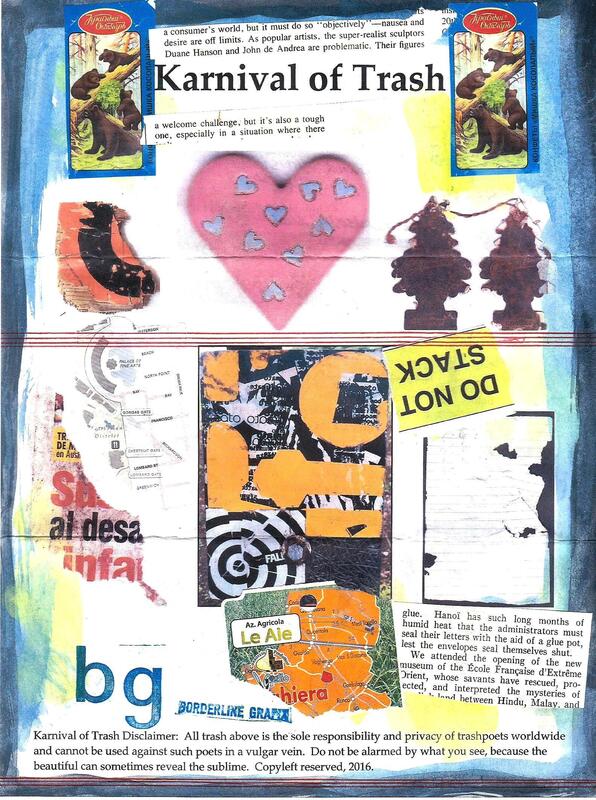 A slogan of Karnival of Trash 2016 is “Trashpo: It can only get better.” The Karnival of Trash Mail Art Call is proving the statement without irony or a knowing wink. The work is amazing! 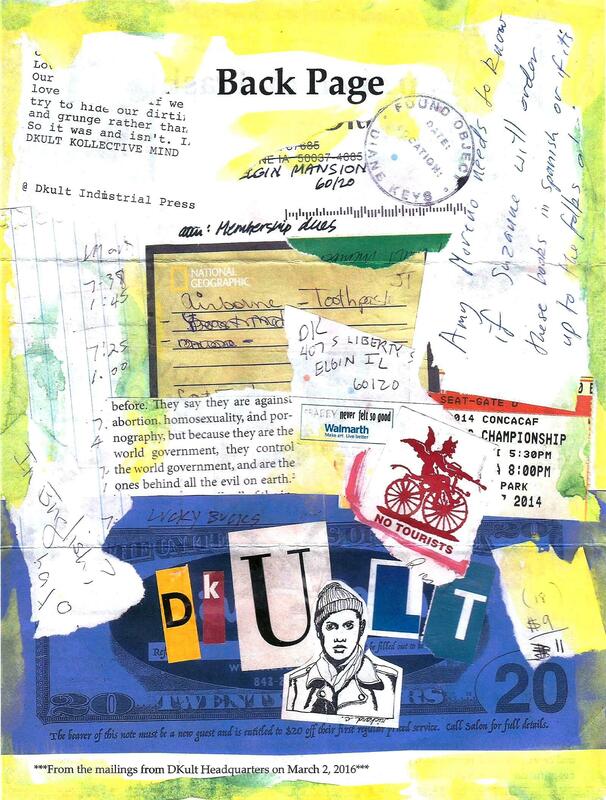 Borderline Grafix sent this new publication from the DKult Fan Club Press that features a special section on the Karnival and original work by Diane Keys among other must-see items. 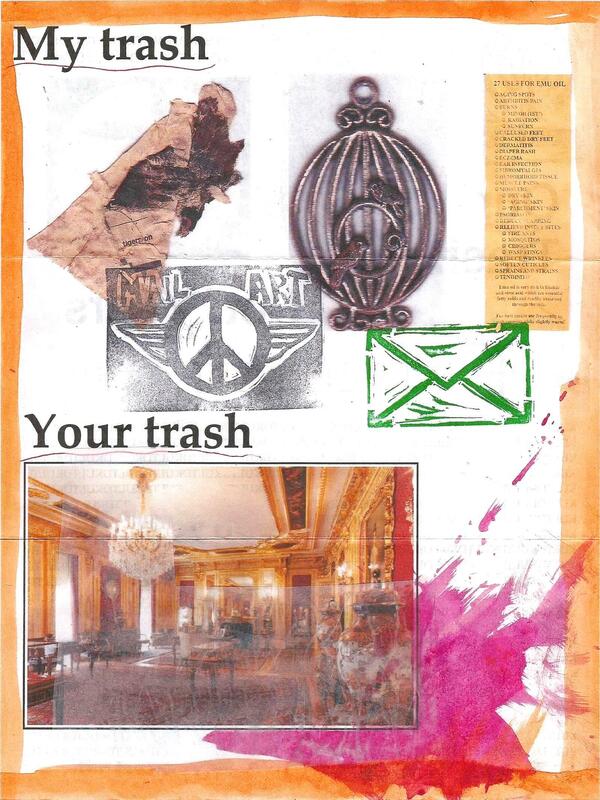 This is a treasured collector’s piece in conjunction with the show. Many thanks. Wow! 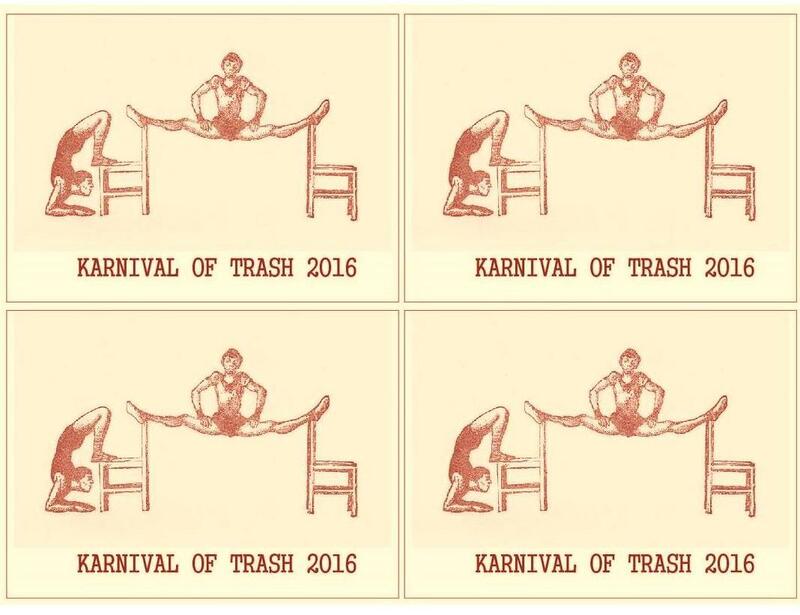 A stunning interpretation of the Karnival of Trash theme.